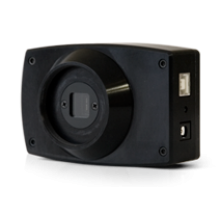 Lumenera offers a wide range of USB 2.0 and USB 3.0 cameras based on high performance sensors, providing a variety of unique capabilities to satisfy your lunar, solar and planetary imaging. Lumenera's SKYnyx cameras can be purchased worldwide through independent dealers. Lumenera uses a generic driver for all INFINITY cameras, allowing communication with the most popular third party software. Camera control through our intuitive TWAIN interface results in rapid image capture, archiving and documentation for high throughput applications, demanding research environments and teaching facilities.